Prof. R.P. 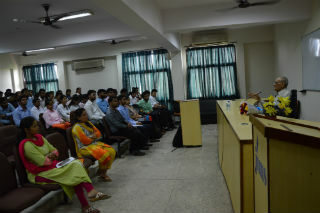 Maheshwari, Director General JIMS, Rohini addressed the students of PGDM-first year batch on Thursday, 14th July, 2016. 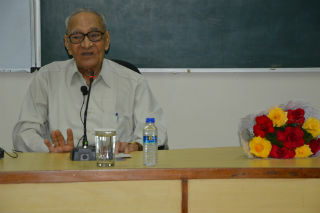 Prof. Maheshwari, is associated with JIMS since its inception and is an author of repute. He has several books to his credit, many of which are prescribed in the curriculum of universities. 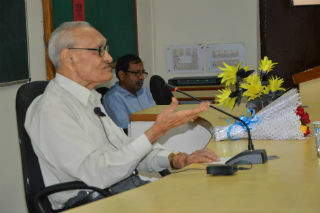 He was senior faculty with the Shri ram College of Commerce, University of Delhi prior to his association with JIMS. Prof. Maheshwari talked about the importance of hard work, dedication and discipline with the students quoting examples of some successful entrepreneurs. He asked students to have faith in their abilities and should have firm determination to do something big. He also discussed briefly a case study of Dhirubhai Ambani and success story of Reliance industries. Earlier, Dr.Sumesh Raizada, Dean, PGDM extended a warm welcome to Prof. Maheshwari and expressed his gratitude to him for being the guiding light to JIMS for last so many years. 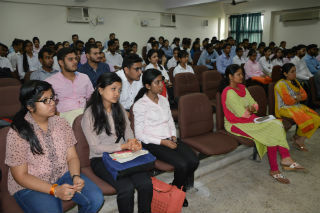 The session was very well received by the students and faculty members present.